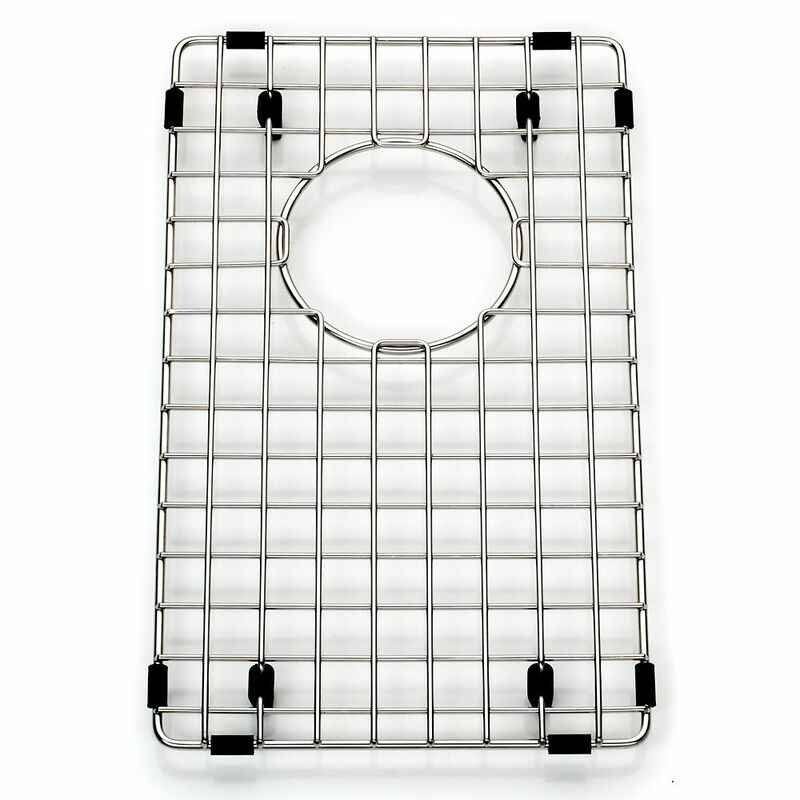 Kindred SS wire bottom grid - 14-7/8" X 8-7/8 X 1"
SS wire bottom grid - 14-7/8" X 8-7/8 X 1" Stainless steel bottom grid to protect sink bowl from scratches. Includes rubber feet, side bumpers, and hole for access to sink waste hole. Dishwasher safe and heat resistant. SS wire bottom grid - 14-7/8" X 8-7/8 X 1" is rated 4.0 out of 5 by 1. Rated 4 out of 5 by monique from Absolutely Necessary The sink easily scratches, so the bottom grid is absolutely necessary. In fact, Kindred should include the bottom grid for both side of the sink, as buying it is quite expansive.